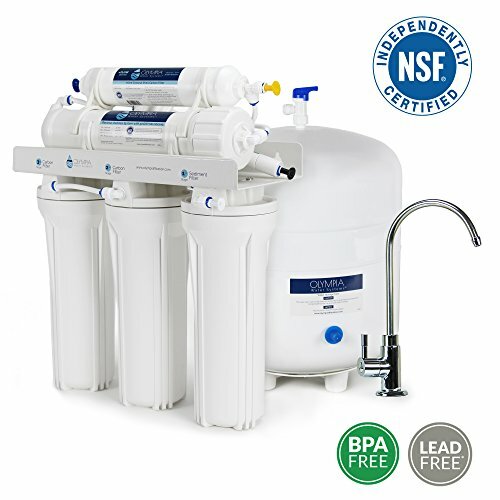 Olympia Water Systems 5-stage reverse osmosis water filtration system is designed and tested to provide clean, high-quality drinking water at your home or business. The filtration portion of the system measures 16” w x 7” d x 20” h and the tank measures 12” w x 12” d x 18” h, for most under-sink cabinets. Step-by-step installation guide for DIY or professional installation.